Parabola is self-described as "devoted to the dissemination and exploration of materials relating to the myths, symbols, rituals, and art of the world's religious and cultural traditions." Since 1976 it has published a quarterly journal that is "devoted to the search for meaning, which often goes outward, then back home again along a different path." Earlier today, Parabola posted the following quotation on its Facebook page. I share it here for its value as a simply stated profundity that I think addresses so much of what American Creation discusses, and because we lost Vaclav Havel only two weeks ago. If you think "church" and "state" must forever and completely be estranged, then maybe this can help you remember that both are comprised of the people. If you wonder how American governance of yesterday became what it is today, maybe this can help you remember that government, then and now, shows a reflection of the people. If you find the public statements and private writings of "this" or "that" Founding Father on religious faith not in close enough agreement with your own views, maybe this can enlighten. 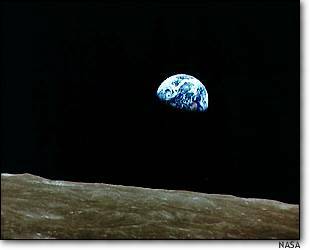 ‎"If a better economic and political model is to be created, then perhaps more than ever before it must derive from profound existential and moral changes in society. This is not something that can be designed and introduced like a new car. If it is to be more than just a new variation of an old degeneration, it must above all be an expression of life in the process of transforming itself. A better system will not automatically ensure a better life. In fact, the opposite is true: only by creating a better life can a better system be developed." Happy New Year, friends! Here's to a great 2012. Jordan Hylden reviews, for First Things, D. G. Hart's "From Billy Graham to Sarah Palin: Evangelicals and the Betrayal of American Conservatism." And as Hart shows, their tendency to replace the Church with America led many evangelicals, like best-selling writer Peter Marshall Jr., to embark on a quixotic historical quest for America’s origins as a “Christian nation.” Evangelicals began to churn out an endless stream of books purporting to set forth “God’s plan for America” and a blueprint for “biblical” politics, with precious little attention to the finer points of the American experience or to political theory in general. Their historic optimism and impatience led them to embrace various ill-considered political ventures, like the Moral Majority, that tended to function better as target practice for liberals than as viable political movements. Did Washington Ask God for Help at His First Inauguration? Whether George Washington invoked God's name at the end of his official presidential oath has become a debate that obscures a more obvious truth, one that sheds light more on the man himself than on any ideological agenda in today's so-called Culture War. The man who took the oath of office in April 1789 was scared to death of what might become of his beloved country and his almost equally beloved reputation. He wanted all the providential help he could get. Did Washington Say "So Help Me God"? Did George Washington add "so help me God" to the presidential oath? That question has become one of the flashpoints in today's so-called Culture War. And American Creation's Ray Soller continues the debate in a well-researched, articulate response (see "Jerry-Rigging the Presidential Oath With The Wall Builders") to David Barton's claim that Washington indeed said the words (see "Did George Washington Actually Say 'So Help Me God' During His Inauguration?"). (Note: I would link to Mr. Soller's article, but the title link goes to a different post by Mr. Soller than the one I'm trying to reference). I've blogged about Washington's first inauguration before (see "Facts About George Washington's Inauguration") and have addressed the issue of Washington and SHMG in numerous posts and discussions here at American Creation. There's little value in repeating all that again. I will simply say that I believe Washington said the words, but I acknowledge I can't prove it. No one can prove the issue one way or the other. But, if I may ask your indulgence, let's take a moment and reflect on this question from a different angle. In my opinion, the issue of whether Washington said "so help me God" is a pointless dispute in the so-called Culture War. Those who want a completely secular presidential oath already have their wish, in that the legal oath, as prescribed in the Constitution, makes no mention of God. What's more, the Constitution expressly forbids any religious test for federal office. It is unconstitutional and improper for the one administering the oath to require or demand (by coercision, intimidation, or manipulation) that the President-elect append "so help me God" to the oath. Those who desire a secular presidential oath already have their wish. Likewise, for faith-oriented conservatives caught up in the so-called Culture War, this is the wrong battle. So what if George Washington added "so help me God" to the presidential oath? For the first time around, he probably did. The second time around, he probably didn't. Then again, he may not have said "so help me God" at either time. Do social conservatives really want to pin so much on this one dispute? I mean no disrespect to anyone with strong feelings on this issue. I applaud the desire of anyone to get at the truth, to uncover the facts, and/or to better understand our nation's history. Ray Soller here at American Creation has done a commendable job in pointing out the lack of evidence surrounding the assumption made by many over the years that Washington added "so help me God" to the presidential oath. And Mr. Soller does well in responding to David Barton's latest attempt to argue that the Washington SHMG tradition is accurate. Nevertheless, after reading the arguments of both men, I once again come to the inescapable truth that neither side can provide verifiable proof. We just don't know whether Washington said the words or not. I personally like how Ron Chernow handles the issue in his biography Washington: A Life. Chernow writes: "Legend has it that [Washington] added 'So help me God,' though this line was first reported sixty-five years later. Whether or not Washington actually said it, very few people would have heard him anyway, since his voice was soft and breathy." Nicely done. I personally would've said "tradition" instead of "legend," but I like how Chernow handles the matter, especially how he only devotes a couple sentences to it, and then moves on. The debate over Washington and SHMG will likely continue, but I don't think this calls for the kind of emotion that's been devoted to it. If Washington said "so help me God," that doesn't change the fact that the Constitution itself (which supersedes Washington in authority and importance) doesn't call for the words to be added. Even if Washington added "so help me God," everyone present would've understood it to be a personal addition to the legally prescribed oath. Washington's addition (if indeed he said the words) did not alter the official oath, nor did it change the Constitution's prohibition of a religious test. When a President-elect says "so help me God" after the oath, he is simply adding his personal sentiment. He's not writing law. He is asking God to help him fulfill his legal obligations. On the other hand, if Washington did not say "so help me God," that hardly makes him a secular Deist who wanted to distance God from government. Washington's First Inaugural Address, which contains overt religious themes, puts to rest any possible misunderstanding along those lines. No matter whether Washington said the words "so help me God" or not, the historical fact is that the first President of the United States wove religious imagery and sentiment into his inauguration. No one can dispute this, as the record is abundantly clear. Fisher Ames recorded that Washington looked "grave, almost to sadness" at the time of his inauguration. One senator said the President-elect was "agitated and embarrassed." 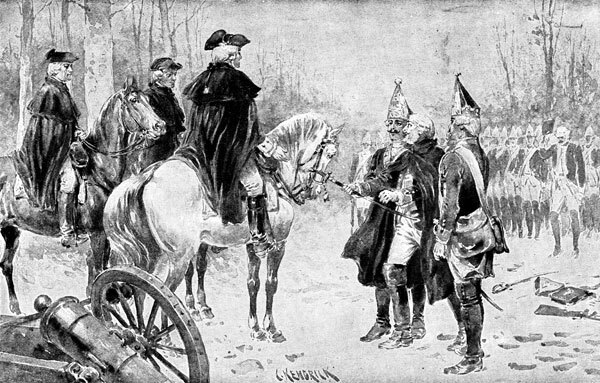 These men noticed how Washington felt, which was, as he confessed to his friend Henry Knox, as a "culprit who is going to the place of his execution." Washington felt the enormous strain of responsibility being thrust upon his shoulders, along with the unrealistic expectations of so many of his countrymen. Who wouldn't be a little stressed? And who wouldn't want a little help? I believe this is what we are missing when we debate the issue of "so help me God." If Washington indeed said the words, it wasn't to make some kind of political point, and I think he'd be very disappointed if activists today tried to do so. Rather, Washington was genuinely vexed, and he sincerely needed help from Divine Providence. This much is certain when one looks at the Inaugural Address itself. "Such being the impressions under which I have, in obedience to the public summons, repaired to the present station, it would be peculiarly improper to omit in this first official act my fervent supplications to that Almighty Being who rules over the universe, who presides in the councils of nations, and whose providential aids can supply every human defect, that His benediction may consecrate to the liberties and happiness of the people of the United States a Government instituted by themselves for these essential purposes, and may enable every instrument employed in its administration to execute with success the functions allotted to his charge." This isn't Washington trying to be a culture warrior. It's Washington confessing his fear and anxiety (albeit in a strained, formal, 18th century manner) and confidently asserting that God can compensate for "every human defect." To the extent that this is a statement in the so-called Culture War today, it's only because the United States has become more culturally and religiously diverse - and more distant from our heritage (the latter not necessarily being a good thing). In the 18th century, no one would've heard these words with offense. 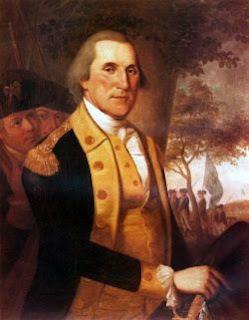 They would've welcomed them as an affirmation of Washington's humility and faith, qualities they desired in a leader. If one were to ask the attendees that day if they heard or thought Washington had asked God for help after his inauguration, all of them would have pointed to his Inaugural Address as opposed to what he may or may not have whispered following the legal oath. Whether Washington said "so help me God" or not after his oath is simply not a relevant issue to the Culture War. For that matter, neither is the debate over the painting of Washington praying at Valley Forge. 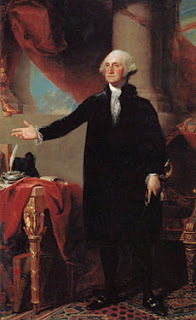 The painting may very well be apocryphal in how it depicts Washington, but does anyone seriously doubt Washington prayed during the long winter at Valley Forge - at least once or twice!? Washington was a man of prayer, and there were times in his life (such as at Valley Forge and when taking the oath of office as President) that he needed God and turned to prayer. No credible historian disputes this. The evidence is clear. Once again, I mean no disrespect to anyone engaged in this debate. I commend both Mr. Barton and Mr. Soller for well-written essays. Mr. Soller, in particular, has written extensively on the subject, and I applaud his research. But I do (respectfully) feel we're losing sight of the forest for the trees. When it comes to Washington's inauguration, let's not allow a peripheral debate to obscure what is of much greater interest and importance, that of gaining insight into the mind of George Washington and the extraordinary challenges he faced when becoming our first President. Update: I "unembedded" the video because it would start automatically and that annoyed some folks. Instead I link to it here. Not just religious liberty, but separation of church and state. Check it this latest article on Williams here. I agree more with the tenor of Brian's post than Murray's. However, it does help to have both sides to put things into critical perspective. By the way, during the Founding era, the criticism against Washington was primarily directed by the Tories. For Murray Rothbard, on the other hand, Washington seemed to be not Whig enough. You've heard the phrase "the gift that keeps on giving." Those of us living in the United States continue to enjoy two wonderful Christmas gifts bestowed upon our nation over 200 years ago, and both gifts come to us from George Washington. Those of us who live in the United States of America take many things for granted. Among them is the fact that we live in a sovereign nation, which enjoys a routine and peaceful transfer of power. Another is that we have a military that is subordinate to civilian authority. No nation is perfect, and the United States has obviously endured a bloody civil war as well as its share of corruption, bigotry, discrimination, etc. Yet, the United States has achieved a stunning degree of stability and prosperity that many other nations of the world could only dream of, and it has done so in a relatively short amount of time. While no individual is single-handedly responsible for all these things, I would like to suggest that one man does stand head and shoulders above the rest in having made not only a noticeable contribution, but an indispensable one. He didn't do it alone, but it's hard to imagine others making the contributions as well as he did in his stead. In every sense of the term, George Washington is indispensable to American history. Two hundred thirty-five years ago this night (December 25) at 11pm, General George Washington led 2,400 men in a desperate, all-night crossing of the icy Delaware River. Washington's audacious attack routed the Hessians the next morning at Trenton, literally saving the American Revolution. If Washington had not rolled the dice to attack the Hessians, it's likely the American Revolution would've fizzled in 1777. His army was about to disintegrate due to desertions and the expiration of enlistments. In fact, Washington had already lost close to 90 percent of his army as it was battered, humiliated, and chased out of Long Island. The American Revolution was all but over. Washington himself had written his brother that the "game" was just about "up." There's a reason why he chose "Victory or Death" as the password that night. He knew that if he did nothing, the Revolution would fail. And he knew that if he did something bold and failed, the Revolution would fail. He absolutely had to win at Trenton. And he did. As historian David Hackett Fischer rightly says of the Battle of Trenton: "No single day in history was more decisive for the creation of the United States than Christmas 1776." It was one of two Christmas gifts George Washington gave to the United States of America. We are still enjoying the gift today. In December 1783, with the completion of the Treaty of Paris which formally concluded the American Revolution and after talking down a would-be coup d'etat at Newburgh, Washington found himself in a position of being able to retire and go home with honor. 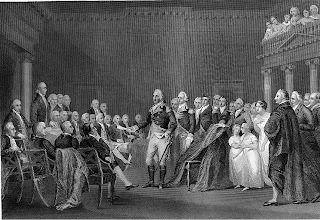 Washington had already resisted the suggestion that he become dictator or king. With the Treaty of Paris confirmed, the war had been won. The United States had been granted its independence. And it set the stage for what historian Stanley Weintrab calls Washington's "Christmas Farewell." 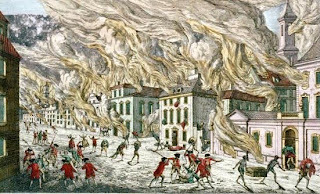 When General George Washington resigned his commission before Congress on December 23, 1783, he did what few revolutionary leaders had ever done or have done since. He became, as one historian put it, one of the only leaders of an armed revolution to leave power "vertically instead of horizontally." When King George III heard of Washington's resignation, he called him "the greatest man alive" or "the greatest character of his age." Americans today take for granted a military that is subordinate to Constitutional and civilian authority. This is not so in other nations of the world. In fact, it wasn't even the case with civilizations that our Founders partly modeled. Romans, anyone? Yet we take for granted that our military leaders will follow orders and respect civilian leaders, no matter how much they may disagree with those civilian authorities. This is in large part due to Washington's example...his legacy. What's more, the entire concept of a peaceful transfer of power is something ingrained in our nation's DNA. It was put there by George Washington! He did it the first time in December 1783 and, again, in the mid-1790s after serving two terms as President of the United States. King George III was right. There was no man of that era quite like George Washington. In fact, the United States of America still hasn't had a leader quite like George Washington. Yes, we've been blessed by great leaders, such as Abraham Lincoln and Martin Luther King, Jr., but these men (and other great leaders like them) were able to accomplish much of what they did on a stage that was made possible by George Washington! Even the two "Christmas gifts" I've mentioned only speak to part of Washington's legacy. I alluded to Newburgh, without going into any detail. What Washington did at Newburgh alone was of supreme importance to the future of the United States. For that alone, he deserves every monument erected in his honor and every road or school that's been given his name. When you add the other things as well, his legacy is overwhelming and virtually unimpeachable. No other figure in U.S. history comes close. George Washington is the greatest and most indispensable leader in American history, and he's one of the greatest human beings to have ever lived. 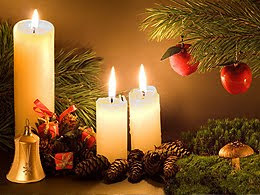 Wherever you are, and however you are choosing to celebrate, have a wonderful holiday season and a safe and prosperous 2012. To all of out contributors, readers and friends, thank you for all the great memories in 2011. Though I have never met a single one of you I consider you friends. God bless and best wishes to you and yours! The last few Christmas holidays I posted Merry Unitarian Christmas to some raised eyebrows. Well, here is one today from a Unitarian-Universalist minister. And it came to pass in those days that there went out a decree from Caesar Augustus, that all the world should be taxed. And she brought forth her first-born son, and wrapped him in swaddling clothes, and laid him in a manger: because there was no room them in the inn. As with his usual approach in his Gospel redaction, Jefferson has eliminated any trace of the miraculous in regard to Jesus' birth. No angels harkening, no shepherds in the field by night, no miraculous conception -- yet at the same time the power of the story of Jesus' birth comes through: the dictates of an occupying power greedy for taxes, the sojourn of the Holy Family to Bethlehem, the culmination of Providence in the timing of the birth, the holy Infant swaddled in a manger because there were not lodgings for the family at the inn. What a powerful story, even without the miracles. A story of a birth that, even when told without the trumpets and angels, was no ordinary birth. Over at the Wall Builders blog, David Barton has recently posted an article, Did George Washington Actually Say “So Help Me God” During His Inauguration?, complete with an entourage of 56 endnotes. In December 2008 following the election of Barack Obama as president, noted atheist Michael Newdow filed suit to prohibit religious acknowledgments or activities from being part of the inaugural ceremonies, specifically seeking to halt the inclusion of “So help me God” as part of the presidential oath as well as halt inaugural prayers by clergy. It should be noted for the sake of clarity, this statement is only half true. The Newdow v. Roberts lawsuit did not generally seek "to halt the inclusion of 'So help me God' as part of the presidential oath." To be more specific, the lawsuit wanted Chief Justice John Roberts to administer the presidential oath without inflating the oath with four extra-constitutional words. On the other hand, if President Obama chose to add "So help me God" on his own, then there was no objection, just as there would be no objection to whether a president independently chooses to raise his right hand; swear his oath on either no, one, or two Bibles; have his spouse hold the book, or just have it nearby; or reverently kiss the Bible while the book is either in an open or closed position. Barton identifies Chief Historian [Donald R. Kennon - 2005] of the United States Capitol Historical Society, the Library of Congress [(Marvin Kranz-2005) under the direction of the Senate Rules Committee], the U. S. Supreme Court (and numbers of its Justices [i.e. Saclia, & Rehnquist]), the Joint Congressional Committee on Inaugural Ceremonies [(namely, Donald Ritchie, Senate Historical Office) under the thumb of the Senate Rules Committee], the Architect of the Capitol [under the direction of the Senate Rules Committee], and other notables [say, like Kenneth C. Davis, David McCullough, Newt Gingrich, Sarah Palin, and Michele Bachmann]" as being in the us-people column. In contrast, he puts Michael Newdow, Mathew Goldstein, [Cathy Lynn Grossman] USA Today, Jim Bendat, Peter R. Henriques, and Charles Haynes in the them-people column. What Barton fails to recognize regarding his two-column mindset is that it is woefully out of date. He would have been better informed if he had kept up with my blogs, where I have notified the reader that both Donald Kennon of USCHS (see my 1/19/2009 blog) and the Library of Congress (see my 12/14/2010 blog) have moved over into the them-people column. He could also have learned from other sources that Charlene B. Bickford, Director of the First Federal Congress Project, George Washington University (see Newdow v. Roberts, Appendix G, and Edward Lengel, editor-in-chief of The Papers of George Washington, University of Virginia, (see 3/21/2011 NY Times Books of the Times) are squarely in the them-people column. Barton continues by taking pot-shots at Newdow's lawsuit whichever way he can. He brings out a cavalcade of states whose colonial regulations, original state constitutions, and "legal requirements for [religious test] oath-taking specifically stipulated that “So help me God!” be part of the official oath of all legal process, whether the oaths were taken by elected officials, appointed judges, jurors, or witnesses in a court of law." What Barton doesn't mention is that not all of the original thirteen states took it for granted that an obligatory acknowledgement of God was a necessary religious test for public office. 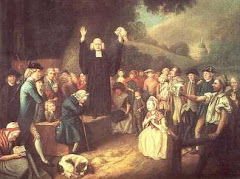 In deed, some states made a special allowance for religious dissenters, like the Quakers, who strongly objected to swearing an oath, and then others who, even more strenuously, objected to include the "irreverent" non-biblical phrase, "So help me God." Furthermore, what's obscured by Barton's blindspot is the fact that the 1776 Virginia Constitution was the only state constitution, which, not only, declared "all men are equally entitled the free exercise of religion, according to the dictates of conscience," but also had no religious test for public office. Consequently, it can't be too surprising that the delegates to the 1787 Constitutional Convention, with George Washington presiding, and with Madison promoting the Virginia Plan, produced a document that failed to mention "God" either as part of the presidential oath, or in any other instance, and specified that "no religious test shall ever be required as a qualification to any office or public trust under the United States." First Session - CHAP. 25.AN ACT to dispense with the usual mode of administering oaths in favour of persons having conscientious scruples respecting the same. Passed the 1st of April, 1778. Whereas many of the inhabitants of this State having conscientious scruples about the present mode of administering oaths by laying the hand on and kissing the gospels for the relief of all such persons [like members of the Dutch Reformed Church], Be it enacted by the People of the State of New-York represented in Senate and Assembly, and it is hereby enacted by the authority of the same That all and every person or persons impowered to administer oaths within this State, shall be and they hereby are empowered, authorized and required to tender and administer the said oaths to all such person or persons as shall declare they have such conscientious scruples, in the form following, to wit. The said person or persons shall with his her or their hand or hands uplifted swear by the everliving God and shall not be compelled to lay his her or their hand or hands on the Gospels or kiss the same: And that all oaths to be administered agreeable to the mode prescribed by this act shall be and the' same are hereby declared to be as good valid and effectual to all intents and purposes, as if the same had been administered by laying the hand on, and kissing the Gospels. And all persons who being sworn agreeable to the said mode and shall be guilty of false swearing or wilful and corrupt perjury, and be convicted thereof shall incur and suffer the same pains penalties or punishments, as if they had been respectively sworn on the Holy Evangelists. A search on "usual mode" goes to page 91. The chapter heading is Proceeedings on Trial. The chapter is talking about courtroom proceedings after 1821. It is not talking about oaths for public office. A search through the entire book for "so help me God" comes up empty. The post-1821 alternative is stated as "swear in the presence of the ever-living God," and, again, without "So help me God." So, when Chancellor Livingston administered the presidential oath to George Washington, Livingston, as a New York State judicial officer, apparently followed "the usual mode of administering oaths," which meant that the oathtaker would place his hand on a Bible during the oath and then conclude the oath by kissing the book. This practice, more commonly known as the "book-oath," is what was reported as having occurred, and there is no contemporaneous report that says otherwise. Furthermore, four years later, when it came time for Washington's second inauguration that took place in Philadelphia, not only was there no mention of "So help me God," but, there was no mention of deity in Washington's inaugural address, no attendance at a church service, and no word of a bible as being needed or even present. George Washington approved eggnog recipe -- drink responsibly! Love that last bit of advice from the Father of Our Country! Do The Three Abrahamic Faiths Worship The Same God? Was Christmas in Revolutionary America a Drunken Bash? Fun article from Thomas Kidd here. IN THE year of our Lord 1816 two grand old men of the American Revolution corresponded eagerly about the work they had recently done, in their rural retirement, on the Bible. Ex-President Thomas Jefferson thanked his old friend Charles Thomson, a co-sponsor of the Declaration of Independence, for sending a copy of his newly completed synopsis of the Gospels. At a time when many modern Americans are arguing feverishly over the real significance of the nation’s religious and political beginnings, such letters can be dynamite. So let the contents of this exchange be noted carefully. Thomson, like most members of the first American Congress, which he had served as secretary, was a committed member of a church—in his case Presbyterian—but he still felt that there might be things in the Bible that organised Christianity hadn’t grasped. So he spent years re-translating the scriptures; the ex-president approved. Obama Claims He's a Better President Than George Washington! In a recent interview with CBS 60 Minutes, President Barack Obama said: "I would put our legislative and foreign policy accomplishments in our first two years against any president — with the possible exceptions of Johnson, F.D.R., and Lincoln — just in terms of what we’ve gotten done in modern history." If one takes this boast seriously, President Obama is saying that his accomplishments, particularly in the areas of foreign policy and what he's gotten through Congress, are thus far greater than those of every single one of his predecessors, except PERHAPS (note he says "possible exception") Abraham Lincoln, Franklin Roosevelt, and Lyndon Johnson. This means Barack Obama essentially considers himself a better President than George Washington! The first President of the United States doesn't even rank as a "possible exception" to Obama's sweeping boast. For more on this incredible display of hubris, read "Is Barack Obama the Fourth Best President? Obama Says His Accomplishments Rank Higher Than Those of George Washington and Thomas Jefferson" over at my blog, the American Revolution & Founding Era. As I prepare to make a deadline for submitting the grades of 18 credits worth of classes (and beginning a new online Winter Session class that started Dec. 19), I don't have time to blog about or discuss this very interesting post from Volokh on how the monotheistic traditions deal with slavery. Check out the comments too. Did the Founders Wish to Separate Religion and Government? In light of the U.S. Constitution's prohibition of a religious test for federal office and the First Amendment's establishment clause, many Americans allege that the Founders saw no place for religion in government. This view is unfortunately fairly widespread in law schools, in many courts, and here on American Creation. In a recent blog post criticizing David Barton (a recurring theme here at AC), Brad Hart writes that "our Founding Fathers were smart enough to recognize the FACT that religion should have no place in government" (emphasis his). Brad is not alone. Several of my fellow bloggers here at AC, whom I respect, have embraced the idea of a fully secular public square, complete with a government that's not only neutral in terms of religious denominations or faith groups, but neutral on the issue of faith itself. In order to assess whether the Founders believed "religion should have no place in government," we should first understand what is meant by "religion." If by using the term "religion," one is simply making the case that the U.S. government should not endorse Catholics over Protestants (or vice versa) or establish a state church, then such a case is definitely consistent with the Constitution, the Bill of Rights, the Virginia Statute for Religious Freedom, and the eventual consensus of the American Founders. If, however, "religion" is broad enough to include belief in God in general as well as an official acknowledgment that our rights come from God and that we are accountable, in some way, to God, then we're talking about something else entirely. Part of the definition of religion, according to Dictionary.com, is "a set of beliefs concerning the cause, nature, and purpose of the universe." By this broad definition, humanism would certainly qualify as a religion. In fact, by this definition, every single human being possesses some type of "religious" view, because we're talking more about worldview than about the embracing of a specific supernatural entity. A quote attributed to Noah Webster affirms this point. Webster is alleged to have said: "Every civil government is based upon some religion or philosophy of life." In researching this article, I was unable to find a primary source for this quote, so I can't confirm that Mr. Webster actually said it. Whether he did or not, though, I think it's an accurate statement. Every civil society that has ever existed is shaped by philosophical and religious assumptions. It is a matter of historical fact that the Founding Fathers of the United States of America fully embraced monotheism, and their monotheistic framework was shaped primarily by a culture steeped in Judeo-Christian belief and tradition. And this Judeo-Christian monotheism was not incidental or peripheral to their efforts in erecting the United States. It was a worldview that was front and center, and was incorporated fully into the foundation of our Republic. One need only look to the colonial charters, the Declaration of Independence, and the state constitutions to confirm this. It is factually incorrect to associate the view that "religion should have no place in government" with the Founding Fathers of the United States. It certainly wasn't George Washington's view, who declared in his Inaugural Address that the people of the United States were "bound to acknowledge and adore the Invisible Hand which conducts the affairs of men more than those of the United States." Washington issued the first national Thanksgiving Proclamation after the U.S. Constitution, and said it was the "duty of all nations" to acknowledge God with worship and gratitude. And it was Washington, in his Farewell Address, who said that "religion and morality" were "indispensable" to "political prosperity." Doesn't sound like a guy who wanted religion completely separate from government. And, if I may, who are we to disagree with George Washington when it comes to discussing the original meaning of the Constitution or the intentions of our Founders? Then, of course, there's Jefferson, who secularists love to quote as someone who promoted the separation of church and state. While Jefferson most certainly opposed anything that smacked of a Church of America, he nevertheless had no problem with Judeo-Christian monotheism being at the center of our Republic. Consider his famous question: "And can the liberties of a nation be thought secure when we have removed their only firm basis-a conviction in the minds of the people that these liberties are the gift of God?" That sounds like a question of a religious nature to me. The Declaration of Independence makes it clear that the Founders believed in the existence of God and that our fundamental rights come from God. These are religious sentiments and they are enshrined into our founding document and, by consequence, our heritage and identity. It's the right of the American people today to decide to jettison the beliefs of the Founding Fathers. They would be wrong to do so, but it's their legal right. People are entitled to their opinions, but they are not entitled to their own facts. It's legitimate to disagree with the Founders, but it's not right to redefine the values and beliefs of the Founders. On the issue of religion and government, the Founders have a right to speak for themselves, and they have done so. A King James Version of the Bible, containing the Old and New Testaments, the 'George Washington Inaugural Bible' was printed in the 1760s, and has been owned since then by St. John's Lodge No. 1 AYM in New York City. On April 30, 1789, George Washington took his first presidential oath of office upon this Bible, his hands resting at Genesis 49-50. I had the good fortune to be in the presence of a certain Bible on Friday night, one that has been discussed on American Creation before. A cherished, priceless document we in Freemasonry call the George Washington Inaugural Bible was brought to a local Masonic lodge in New Jersey to display during a ceremony. I just want to offer a quick post today to share a perspective that is new to me. Two, actually, but I'll begin at the beginning. The George Washington Inaugural Bible, a King James Version containing the Old and New Testaments, has been owned by St. John's Lodge No. 1, Ancient York Masons, in New York City since the lodge purchased it from Baskett printers in London in 1767, for use as the lodge's altar Bible. It earned its nickname because on April 30, 1789, George Washington took his first presidential oath of office with his hands resting on the pages of this Bible, opened to Genesis 49-50, in a ceremony on Wall Street. In a fraternal order that cherishes its history and its artifacts, this holy text enjoys a unique standing; whereas those Founding Fathers who were members of Masonic lodges left this world long ago, this Bible serves as a portal that grants us today the chance to touch them in their day. Well, almost. The Bible is handled only by select members of St. John's Lodge when they travel with it on the very few occasions it is allowed to travel. But it does travel, unlike so many other pieces permanently encased in glass or locked in vaults, never to reach their full value as educational tools and cultural touchstones. One of those guardians on Friday night was my friend and Brother Piers Vaughan, who addressed the audience of approximately 150 to tell the history of this Bible, and his own thoughts on why this particular text came to hold its singular significance. features the autograph of George H.W. Bush. Piers spoke of how the preparations for Washington's inauguration were planned to the most minute detail, even down to the quantities of hay and water required to refresh the horses in the procession. How could it be that the very instant of inauguration could be bereft of a Bible? It is a depth of thoughtlessness that seems too improbable to be taken seriously. Instead, argues Piers, the president-elect himself fashioned "an elegant solution" to a potential political and religious misstep. With the new American states characterized by different sectarian beliefs, the choice of one holy text over another in the performance of this swearing-in ceremony could have had repercussions throughout the land. But because of the very high esteem in which the public regarded Freemasonry, Washington's choice of a "Masonic Bible" would have been appreciated as the best obtainable ecumenical solution to the ceremonial dilemma. And the second point that caught my ear Friday night was the ranking in which Piers placed this Bible in political and civic importance: third, after only the Declaration and the Constitution. His reasoning is because Washington was created president of the United States with the assistance of this Bible, the Executive Branch of U.S. government was thereby embodied by him that very moment. Enlightened by this view, I now see the aspiration of the Declaration of Independence as prelude to the covenant of the Constitution, rendered in the flesh as a civilian, temporary, and elected chief executive. In other New York City news, I invite all the readers of American Creation to attend a lecture at Fraunces Tavern Museum on Thursday, January 19 at 6:30 p.m. Most people are aware that Freemasonry is a centuries-old society cloaked in mystique, its brethren ever present in the sweep of history, but what exactly do Masons profess? Did Freemasonry inspire the War of Independence? Were all the Founding Fathers members of the Masonic fraternity? 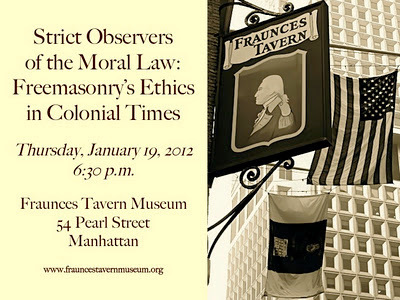 Drawing from period literature, and with an insider's understanding of how Masonic lessons are imparted, Jay Hochberg, an officer in New York City's only Masonic lodge of research and education, will define and contextualize the Colonial Freemason's bond to his neighbor, his government, and his god. Seating is limited to about 60, and no advance reservations are taken. Tickets are sold, at $10 per person, at the door. I'll be sure to publish a summary of my remarks here on American Creation after the event. David Cameron: "The U.K. is a Christian Nation"
The King James Bible is as relevant today as at any point in its 400 year history. And none of us should be frightened of recognising this. We are a Christian country. And we should not be afraid to say so. Let me be clear: I am not in any way saying that to have another faith – or no faith – is somehow wrong. I know and fully respect that many people in this country do not have a religion. And I am also incredibly proud that Britain is home to many different faith communities, who do so much to make our country stronger. But what I am saying is that the Bible has helped to give Britain a set of values and morals which make Britain what it is today. Responsibility, hard work, charity, compassion, humility, self-sacrifice, love, pride in working for the common good and honouring the social obligations we have to one another, to our families and our communities, these are the values we treasure. Yes, they are Christian values. And we should not be afraid to acknowledge that. But they are also values that speak to us all – to people of every faith and none. And I believe we should all stand up and defend them. Those who oppose this usually make the case for secular neutrality. They argue that by saying we are a Christian country and standing up for Christian values we are somehow doing down other faiths. If values of a Christian country are shared by people of all faiths why the need to specifically label the country Christian? Why not say that we share a common morality and common values? Call it humanism, call it whatever you want - don't call it anything at all. Only this will unite us. the only reason to evoke Christianity is a desperate attempt to address the declining morality. But he falsely makes the classic polar argument 'it must be either this or god', just as people assume it must 'science or god'. There are alternatives - it just takes just a little bit of forward thinking and trust in mankind's ability to be a moral being. Firstly, the UK is not a Christian country except constitutionally - the Queen being the Head of State and the Head of the Church of England. We are not even a practising religious country. Secondly, the morals of the bible are, to put it generously, 'confused'. Thirdly, in any event, Christianity is not the basis of even the good parts of our 'moral code' given that concepts such as the 'golden rule' (like it or loathe it) pre-date monotheistic 'Abrahamic' religions by some distance. To be honest, I tend to side with Cameron on this one. One doesn't need to be an expert in British history to recognize just how important Christianity has been on Great Britain (and Europe in general). 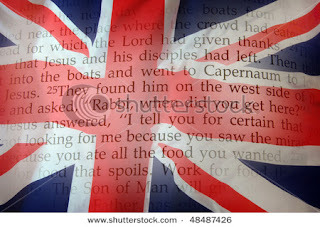 Heck, in many respects Christianity pre-dates the establishment of England, and certainly of Great Britain and the U.K. From Catholicism to Henry VIII's break with the church, from Elizabeth I's creation of the Church of England to the Puritans, Protestants, Methodists, Baptists, etc., etc., etc., the United Kingdom has a rich Christian heritage AND founding. So how does this relate to the United States? Obviously the history of Britain and the U.S. are joined at the hip, however, I still maintain that the United States, though incredibly religious in its own right, has a different founding than Europe. As I stated in a post a while back, America's PLANTING is certainly Christian in many respects (the Puritans being the prime example). However, America's FOUNDING was something different entirely. Of course, much of this debate boils down to semantics: what constitutes a "Christian", what constitutes a "Nation"? I maintain that if we look at America's founding from a traditional orthodox Christian perspective we cannot conclude that America was founded as a Christian nation (though England certainly was). I will greatly miss him. He was a brilliant, bon vivant, public intellectual and a "generalist"; but he was no historian. I'd never want to debate him in a face-2-face circumstance. But he made some serious historical errors in the Christian nation debate. I agree that the Constitution and Declaration of Independence prove America was not founded to be a "Christian Nation" and that according to orthodox standards Franklin, Jefferson and Washington (all of whom Hitchens invokes below) were not "Christians." However, they also weren't "deists" (as Hitchens defines and understands the term). They were "theists" (something Hitchens denies in the clip). And Franklin was certainly not an "atheist" (something Hitchens claims below). David Barton and the "Black Robe Regiment"
It has been a while since I have posted anything on American Creation (my apologies). I've had some computer problems as of late and, as always, life gets busy. I am planning on getting back into the American Creation swing of things big time in 2012. 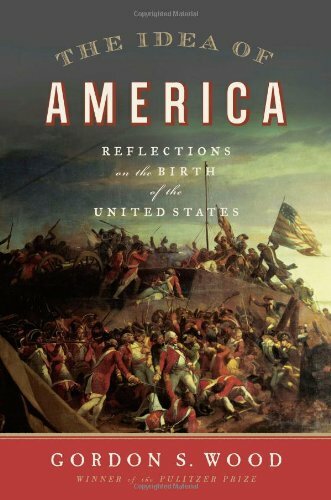 A few weeks back, fellow blogger Jon Rowe took note of a post by AC friend, Chris Rodda on David Barton and the Black Robe Regiment. I may be mistaken but I never saw any followup material from Ms. Rodda on this subject. As a result, I decided to do my own brief inquiry into this topic. the preachers [of the Revolution], because they wore black robes. Black preachers, white preachers — they all wore black probes. And the British specifically blamed the preachers for the American Revolution. That's where the title "Black Regiment" came from. One of the British officials talked about that. It's interesting that the British so hated the preachers — they claim if it hadn't been for the preachers, America would still be a happy British colony. So they blamed it on the preachers. When they come to America, they start to decimating churches. They went to New York City. Nineteen churches — they burned 10 to the ground. They went across Virginia burning churches. They went across New Jersey burning churches. Because they blamed these preachers. First off, Barton's claim that the British "specifically blamed the preachers for the American Revolution" is not entirely accurate. Sure, some British leaders blamed preachers but this was simply one in a huge host of scapegoats for the British. In reality, Barton's claim is based more on the current culture wars than on actual history. Barton and Beck, like their fellow Christian nationalists, need to "prove" that the American Revolution was a religious -- particularly Christian -- war/event, and to do so they make some questionable conclusions based on very weak evidence. On his website for the Black Robe Regiment, Barton provides a singular citation as "proof" that the British feared this "Black Robe Regiment." The citation comes from a Peter Oliver, who was a British official living in Boston. Oliver essentially labels the American clergy, who were sympathetic to revolution, as "Black Robes." But what Barton neglects to mention is the fact that Oliver labels them as such due to his belief that they had "replaced God at the pulpit with politics", a practice that both Barton and Beck are quite familiar with. Somehow, Barton is able to take the words of a single British official living in Boston and apply it to the entire British nation. In other words, if this Peter Oliver said it, all of Great Britain must have felt the same. Second, Barton's claim that the British "decimated churches" is completely misleading. While it is true that the British (and more so their Hessian mercenaries) were responsible for the ransacking of a few American churches, it is NOT true that these churches were specifically targeted for their teachings. They were usually ransacked for goods and supplies or made into shelters or hospitals for soldiers; a common practice used by almost every army of the time. Heck, the Union Army would do the same during the Civil War yet nobody ever assumed religious persecution as the reason like Barton has with the British. Barton is simply implying that since the existing churches, located in battle ground areas of the war were damaged, this must therefore mean that the British disliked their teachings/religion. By omitting the prayers for the king, give that mark of disaffection to their sovereign. To have prayed for him had been rash to the last degree—the inevitable consequence had been a demolition of the churches, and the destruction of all who frequented them...I shut up the churches. Even this was attended with great hazard; for it was declaring, the strongest manner, our disapprobation of independency, and that under the eye of Washington and his army. The church at Crumpound was burned to save it from being occupied by the enemy. 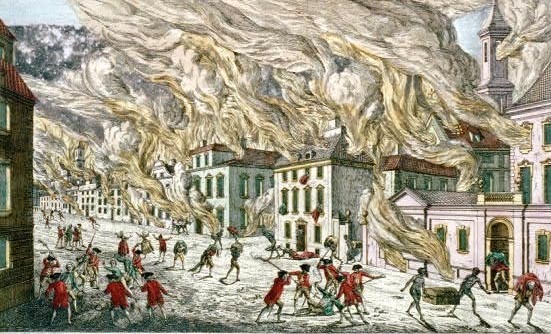 That of Mount Holly was burned by accident or design. The one at Princeton was taken possession of by the Hessian soldiers and stripped of its pew and gallery for fuel. Apparently, the idea began with Beck's favorite historian, David Barton. 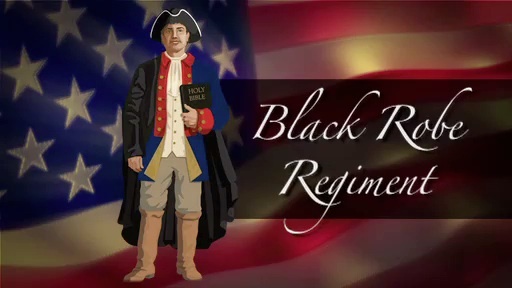 When Beck told Barton he wanted to "get religious leaders together," Barton suggested forming a Black Robe Regiment -- named after what Barton had said was a group of preachers who supported the American Revolution from their pulpits. Beck decided that was "exactly" what he was looking for because it was a movement supposedly like his that was "not about politics." As for the "rights in the Declaration of Independence" coming from the clergy, Barton needs to go back to History, 101. Thomas Jefferson, the author of the DOI, cited Locke, Cicero, Montesquieu and other figures as "inspiration" for what he put into the DOI, but AT NO TIME did Jefferson give any kind of credit to the Bible or any other specific Christian teaching. And, perhaps more importantly, of the twenty-seven reasons for declaring Independence that are mentioned in the DOI, not a single one has anything to do with religion. Why? Because the American Revolution was NOT a religious war like so many involved in the culture wars want us to believe. It was a war over representation, taxation, ultimate sovereignty and a host of other reasons. But religion was NOT the cause of the Revolution. Yes, it may have been used to justify rebellion to the motherland but that was the extent of its usage. In the video piece, Barton also states that Ministers were at the "forefront of everything that happened" during the Revolution. Uh, no. Of the 55 signers to the DOI, only one (John Witherspoon) was an actual minister (as opposed to Barton's claim that 27 were ministers). But for the record, just as many (if not more) ministers preached AGAINST revolution as those who were in favor. In conclusion, I know that Barton and Beck probably mean well in their efforts to "restore" America's "forgotten heritage" and I don't necessarily disagree with their motives. With that said, the fact remains that their misuse of history does not help them in their quest. Twisting facts, misusing quotes, and fabricating events doesn't "restore" a damn thing. I share in Beck and Barton's belief that religion is the most awesome and influential power on earth and that it was EXTREMELY important to those of early America. However, our Founding Fathers were smart enough to recognize the FACT that religion should have no place in government. Is This a Modified Form of Universalism? I believe Orthodox Christianity is the fullest expression of the true path to salvation, liberation or paradise. But I don’t agree that only Orthodox Christians will find their way to salvation. My view is that God may save anyone, but that if anyone is saved, it is through the death and resurrection of Jesus Christ, and through the mercy of God the Father, who, in his infinite wisdom and compassion, may choose to extend it to those who confessed Christ imperfectly, or who didn’t confess him at all. That, by the way, is the official teaching of the Catholic Church. It’s not the same thing as universalism, which holds that everyone will be saved, no matter what. Dreher is a convert from Roman Catholicism to capital O Orthodox Christianity. It always helps to clarify terms. Note also that there are Trinitarian Universalists (like Benjamin Rush) who believed, indeed, everyone will be saved (eventually) no matter what, but it will be through Christ's universal (as opposed to limited) atonement. Finally, Dreher's link interestingly shows a strong majority of folks in America and internationally disagree with the idea that salvation is found ONLY in their religion. ....“My faith or religion is the only true path to salvation, liberation or paradise.” Of people in all the countries polled, the only people who poll over 50 percent agreement are Saudis and Indonesians — and in Saudi Arabia, a stunning 25 percent disagree. In the US, only 32 percent agree with this statement. I haven't yet read this book but it seems worthwhile. The Founders were influenced by a great many minds and Milton was certainly one. John Locke, Isaac Newton, Samuel Clarke, John Milton -- those are, in my opinion, the "rational Christians" of the early British Whig era who most influenced the Founders. All were also, likely, not religiously correct on matters of orthodoxy or Trinity. But were also closeted about that, giving more orthodox figures, like Timothy Dwight, grounds for "claiming" them. That's one thing I got from gleaning this book -- Milton was one of those figures both sides wanted to claim. If the "American Creation" story interests you, you will want to read this. "The Christian religion, as I understand it, is the brightness of the glory and the express portrait of the character of the eternal, self-existent, independent, benevolent, all powerful and all merciful creator, preserver, and father of the universe, the first good, first perfect, and first fair. It will last as long as the world. Neither savage nor civilized man, without a revelation, could ever have discovered or invented it. Ask me not, then, whether I am a Catholic or Protestant, Calvinist or Arminian. As far as they are Christians, I wish to be a fellow-disciple with them all." - Letter to Benjamin Rush, January 21, 1810, printed in In God We Trust: the Religious Beliefs and Ideas of the American Founding Fathers, edited by Norman Cousins (Harper & Bros.: 1958), pg. 101. Paul Gottfried has long been a cantankerous critic of Leo Strauss'. He has a new book coming out, published by Cambridge, on Strauss and his disciples. Though a bit crankish in his opinions, Dr. Gottfried has solid academic bona fides, and, in my opinion, always something interesting to say. You can read him write about his new book here. I think Kersch needs to keep in mind that most "Straussians" are not Jaffaite "West Coast Straussians" but rather "East Coast Straussians." They have their own way of articulating "Goldilocks' originalism," but without the Declaration of Independence and its God; they view the DOI's God as certainly not the Christian God or even the Judeo-Christian God, God of the Bible, or what have you. Strauss himself didn't think Athens and Jerusalem could be reconciled. That throws a bit of a monkey wrench into Kersch's narrative. Would the American Founders have affirmed our national motto "In God We Trust"? Thomas Kidd, of Baylor University, argues they would have in this op-ed published by USA Today: Founders would agree that "In God We Trust." Kidd has published on Patrick Henry, so much of his argument pertains to the early Republican/Jeffersonian tradition, but the Federalists (like Hamilton and Adams) were equally insistent that Providence governs the affairs of men and that our rights and duties flow from divine wellsprings, rather than the arbitrary diktat of the State. Even the most religiously skeptical among the founding generation -- Franklin and Paine come to mind -- affirmed the existence of Providence and God's superintending care over human life. While the Founders may have had a broad diversity of religious opinion regarding orthodox Christian belief, God as the providential source of human rights was key to the principles of our Revolution and the formation of the early Republic. Did President Obama Redeem Himself? With his explicitly Christian Christmas message. I note this after his more secular, godless recent Thanksgiving message that ticked some folks off. President Obama, as I see it, operates in the political theological tradition of the religious left, Christian-Left ala Cornel West (though as an elected politician, Obama is far more conservative in his policy decisions than they want him to be). They are arguably the heirs to Martin Luther King's political theology. (I won't go there with Bonhoeffer; at least not yet.) In addition to being generously ecumenical, the Christian-Left types, like Obama, seem to flirt with unitarian and universalistic theologies making them like the Jonathan Mayhews of the Founding era. Is Obama a Christian? Was Jonathan Mayhew a Christian? Are Mormon's Christian? These are all related questions. From Parker J. Palmer here. These foundation stones of American democracy were laid a century too late to save Mary Dyer's life. 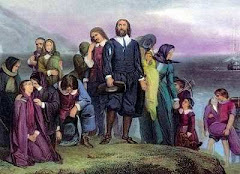 Dyer, a middle-aged mother of six, was hanged in 1660 for defying a Puritan law that banned Quakers from the Massachusetts Bay Colony. The Christians who cruelly deprived this woman of Life, Liberty and the pursuit of Happiness were dead certain (so to speak) that they were on a mission from God, protecting their "divinely ordained" civic order against Mary Dyer's seditious belief in the Inner Light. As a spiritual descendant of Mary Dyer, I'm profoundly grateful that America is not a Christian nation. If it were, my Quaker convictions might get me into very deep oatmeal. And as a Christian who does his best to take reason as seriously as I take faith, I find it impossible to understand America as a "Christian nation" -- and I believe that there are vibrant possibilities in the fact that it is not. And arguing about it is freakier. Sometimes I think I'm a freak when I delve into the deep theological waters and try to wrap my mind around these concepts. But when I read the works of great theologians I see they were even freakier. Jonathan Mayhew, the great unitarian heretic who so monumentally influenced America's Founding, for instance. This is a LONG excerpt of his where he tries to explain his views on the atonement. If I ever engage in a formal controversy with any person, it shall be with one who appears to me to have both a better head and honester heart than you have discovered in this specimen of your abilities, and your zeal for what you call orthodoxy. Yet I do not think it proper to be entirely silent. Though my sermons need no elaborate, argumentative defence against your impertinent criticisms, yet so much rudeness and insolence, so much misrepresentation and slander, falsehood and forgery, as your libel contains, should not, methinks, be passed over without some animadversions; especially, as it is probable many will read your essay, who never perused my sermons: and it is chiefly for this reason, that I give you and myself the present trouble: my principal aim being not to dispute with, but to chastize and admonish you, for your good, and to make you an example and warning to others. If, in doing this, I shall transiently touch upon the merits of the case, theologically considered, you are not to flatter yourself that I mean to controvert such points with you, whom I consider unworthy to be reasoned with about them, any farther than is requisite to show your dishonesty and wickedness with regard to them. 'If I had really published any materials in point of doctrine, let me tell you, Mr. Cleaveland, that you are a most unsuitable person to undertake a confutation of them, or to set yourself up for an author: though you say you have an undoubted right to do so. I am sensible that British subjects have an undoubted legal right to expose themselves in print, on politics, divinity, or any other subject; and if this is what you insist upon as a privilege, I would not, by any means, have your liberty or that of the press restrained. You speak of divines of indisputable ability, for such an undertaking as that of vindicating the truth against me. Can you, then, possibly think it became you, an obscure .person, lately from another province, and one so unlettered as you are; an outcast from a college to which you were a disgrace; for some time a rambling itinerant, and promoter of disorders and confusion among us, so raw and unstudied in divinity; and one hardly ever heard of among us, but in the frequent reports of your follies, and extravagances; can you possibly think it became you to turn author on this occasion, and take this necessary work out of the hands of able divines, of defending the most important principles of the protestant religion against me? What an unaccountable vanity and infatuation was this! And you have passed an implicit censure on those divines, also, by saying, 'I marvel that some of our divines of great ability, have not attempted to vindicate the truth against him.' Is not this proof that none of our able divines thought there was any occasion for opposition to me? 'If it were my intention to write to you as a scholar, logician, or divine, I would take some notice of the confusion and want of method, so apparent throughout your libel. But it is as much beneath me to play the critic on such a performance, as it would be particularly to expose the vanity of your criticisms on my sermons. Let me here just observe, that if I agree with you in so many things, as you say I do, this is better presumptive evidence that I am under some mistakes, than any which you have produced. For I can hardly suppose it possible for any one to be of your opinion in many points of doctrine, without being in the wrong as to some. 'But I will proceed to the main business of this letter, which is to set your falsehoods and evil surmises respecting my sermons, in some order before your eyes; and to administer the reproof and correction which you deserve; or rather a part of it; for it is only they who hold the sword of public justice can punish wickedness to the extent of its demerits. Your wickedness, in this affair, appears written, as one may say, on your forehead—I mean in your title-page; in which you represent me to the world, as an enemy to ' the most important principles of the protestant religion;' particularly the doctrine of Christ's atonement; and on which you say I cast 'injurious aspersions.' After the word atonement, you indeed insert these clauses, viz., 'as being absolutely necessary to the pardon of sin, consistently with God's infinite rectitude,' that you might have an hole to creep out at But this will not serve your turn. You know in your conscience that I did not deny any necessity of atonement, arising from wisdom, fitness, the ends of government, or the moral character of God; but rather said what implies it, as will appear to your confusion, unless you are past all shame. How then could you have the confidence, because my expressions concerning atonement do not exactly agree with yours, to represent me to the world as casting injurious aspersions on it ?—by which you doubtles intended something beyond a simple denial of it. Indeed, nothing is more manifest, than that it was your intention to asperse me, as an enemy to some of the most important doctrines of the gospel; which you, accordingly, attempt to defend against the supposed 'injurious aspersions' cast on them in my sermons. You must be sensible that this is a high charge to be brought against one, who is, by his station and profession at least, a minister of the gospel. But I have the less reason to be uneasy at your dislike of my sermons, because I think it pretty evident you do not well like the text itself, in its plain and obvious sense; or, in other words, that you do not really believe, 'The Lord is good to all, and his tender mercies over all his works.' Had you believed this to be strictly true, I do not think you would have made such an outcry against those sermons. 'It is here manifest, that this eminent calvinistic divine ,was full and positive in his opinion that sin might have been forgiven without any satisfaction; and particularly that the justice of God did not indispensably require it. If I had asserted the same thing, did it become you, I say you, Mr. Cleaveland, to inveigh against me for it, and to load me with so much obloquy? Could you not differ from me in opinion, and yet observe some sort of decency and modesty in your opposition? But let me remind you, that I did not assert the possibility of forgiveness without atonement. So far from it, that the manner in which I expressed myself on the subject, rather implied a moral necessity thereof in order to forgiveness. And surely you will not assert any other kind of necessity; or a natural one, as contradistinguished from moral. At least, I am persuaded that no man who understands what he says, supposes any other. That I denied not such a necessity, but rather supposed it, will fully appear, together with your wilful falsehood and iniquity with reference to it. 'I must notice the method you take to prove that I had the design which you charge on me. You infer this from what I said of divine justice, as a branch of goodness: which opinion you suppose, but without reason, to be inconsistent with the doctrine of atonement. But what an iniquitous method of proceeding is this! On supposition I was mistaken about divine justice, (which I believe no one can show,) is this a sufficient ground to charge me with such a design as you speak of? This is the same kind of dishonesty that it would be in any one to accuse you of atheism, because he supposed some of your principles, pursued to their just consequences, would terminate in it; which probably may be the case. Yet I should think it injurious to charge you with a design to propagate atheism, while you profess the contrary, even though you have shown so little regard to truth and integrity, as you have done in many parts of your libel. One instance of this I must refer to. 'Now, are you not ashamed, Mr. Cleaveland, of such prevarication as this? I did, indeed, compare God's acts of punitive justice to those of a wise and good earthly parent, or sovereign, who has always some good or benevolent design in punishing. But I expressly guarded, as you well know, against the supposition that all acts of punitive justice, whether in God or man, are acts of kindness to the suffering individuals. I said, in my sermons, (when speaking of the motive from which a wise and good parent punishes his children,) 'Is it not to reform and do them good; or, at least, with a view to the benefit of his other children, or those of his household, that they may be under due subjection? &c.—So that, in a good parent, there is no such quality as justice, really distinct from goodness; not even in punishing; for it is goodness which gives the blow.' This last clause you dishonestly introduce, as if I had not only used it expressly concerning God, but had thereby intended to assert that he never punishes a sinner but for his own good, in distinction from the public or common. And is not this a wicked, wilful perversion of my evident meaning? 'Speaking, just after, of a wise and good earthly sovereign, I said, 'he does not inflict punishments, but such as he considers needful for the support of his government; if not for the particular good of those who suffer, as in capital cases, yet for the good of his people in general, by way of example and terror, that good order may be preserved. So that, even in this case of capital punishment, the justice of the sovereign is not a quality distinct from goodness. It is goodness, or a regard to the common good, that takes off the head of the traitor,' &c.